New Species of marine zooplankton discovered by CMarZ researchers. 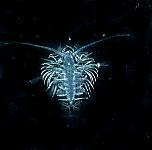 Zooplankton of the Seas Northwest of Australia - All pictures are by Dr. Russ Hopcroft, Univ. 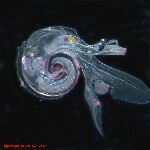 of Alaska/Fairbanks, from the Danish Galathea 3 expedition off Broome in Northwestern Australia during Nov 2006, except as noted. Press Room- Photos and video clips for the media (April 10-30, 2006). Plankton Chronicles - Fascinating videos of a variety of planktonic forms from researchers and photographers at CNRS and the Tara Expedition, France. A fun, interactive site.